It's Cowboy Ned's birthday! His trusty dapple gray steed, Andy, knows that the best thing to have on your birthday is a birthday cake. 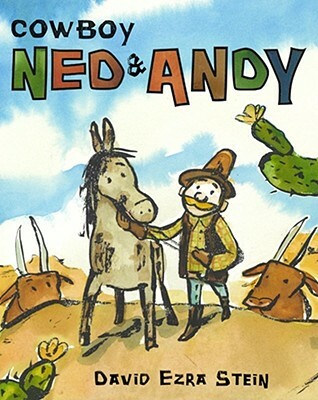 While Cowboy Ned sleeps soundly, Andy wanders across the desert in search of a birthday surprise for his friend and along the way discovers what really makes a birthday special. Echoing the simple yet graceful cowboy poetry of yore, Caldecott Honor artist David Ezra Stein's picture-book debut celebrates best friends.